The sixth and final book in the series releases January 17, 2020, on the 16th anniversary of the day that the Lord confirmed His direction to me to write the first book of the Lessons Learned In The Wilderness series. Little did we know the journey it would take! 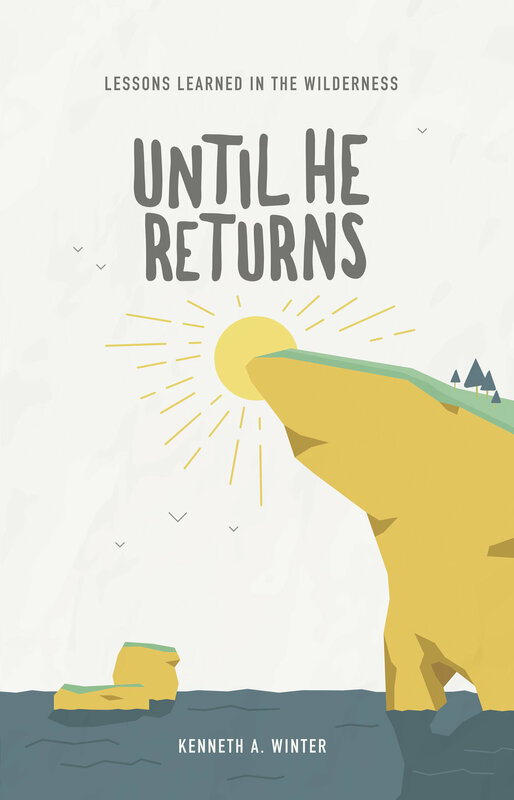 Moments after Jesus ascended into heaven, two angels delivered this promise: “Someday He will return!” In this sixth and final book of the “Lessons Learned In The Wilderness”series, we will look at what that journey will look like “Until He Returns”. No matter where we are in our journey with Him – in the wilderness, in the promised land, or somewhere in between – He has a purpose and a plan for us. In this book, we will look through the lens of the Book of Acts at what that journey looked like for those first century followers of Christ. Like us, they weren’t perfect. There were times they took their eyes off of Jesus. But despite their imperfections, He used them to turn the world upside down. And His desire is to do the same thing through us. Our journeys will all look different, but He will be with us every step of the way. Like the first five books in this series, this book has been formatted in a way that you can read one chapter each day or read it straight through. Whichever way you choose, allow the Master to use it to encourage and challenge you in the journey that He has designed uniquely for you so that His purpose is fulfilled, and His glory is made known. coming january 17, 2020 AS AN E-BOOK FOR YOUR KINDLE, APPLE, NOOK, KOBO OR ANDROID READING DEVICE, OR AS A SOFT-COVER PRINT BOOK. NOT YET AVAILABLE FOR PRE-order.